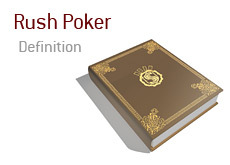 What is "Rush Poker"? What is the definition of the term "Rush Poker"? 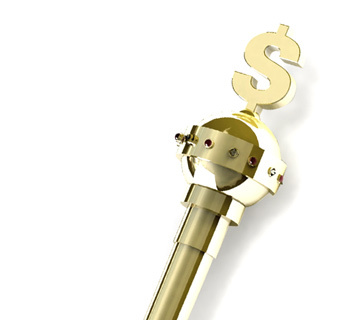 "Rush Poker" first appeared on Full Tilt Poker in early 2010. You join a large pool of players. As soon as you fold your hand, you are immediately placed at a different table that is filled with a different assortment of players. The next hand is dealt immediately, so there is never any wait between the time that you fold and the time that you are dealt your next hand. The advantage of "Rush Poker"? Simple - just look at the name. If you don't want to wait after folding a hand, then Rush Poker is for you. Action is continuous, and you are dealt a substantially higher number of hands compared to a "regular" poker game (according to Full Tilt, a player can be dealt as many as five times more hand in a game of "Rush Poker"). The main problem with "Rush Poker"? Most players tend to become extra tight, due to the fact that they can immediately be dealt another hand if they fold. So, while you will be dealt more cards, you are are likely going to have a much tougher time extracting money from your opponents.